I only read two books in September. One was–undoubtedly–the latest J. D. Robb release, Leverage in Death. The other was Tracy Clark’s Broken Places–which I wrapped on the 11th of the month. And that’s it. Nothing read since the 11th. And that’s mainly because Shadow of the Tomb Raider came out the following day and it has consumed my life. Both in good–considering I’m a long-time fan and veteran of the Croft–and wrong ways. Nonetheless, a game such as this pulled me entirely away from my first passion: books. However, I’ve already read about 60 books this year, so I think it’s okay for me to take it easy from here on out if I choose to. But I just can’t do it like that. I have to read. I MUST be reading. I covet and crave books. Even when I’m not actively reading a book, I’m pausing to touch a book and rifle through the pages just for comfort. So I decided to make myself an Book Raiding TBR. I choose unread books from my shelves that’ll cover 5 areas that I love most about the Tomb Raider series (both old and rebooted). One: Crafty Female Lead. Two: Sprinkles of Mythology. Three: Survival Adventures. Four: Ancient Musty Tombs. Five: History and Relics. This TBR will work. And it will stick. And it will bring me back to reading daily. 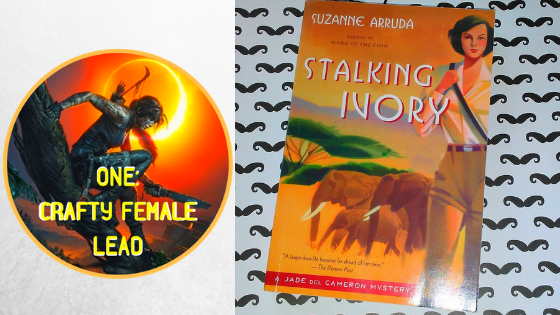 As of today (October 1st) I’m already 140 pages away from the end of the first book on my Book Raiding TBR, Stalking Ivory by Suzanne Arruda. Last time I read a book in this series was as far back as 2014. More or less moved by that entry [Mark of the Lion], I haven’t picked up anything by this author since. However, last year I did purchase the following three books for potential future reading. And here I am finally jumping back into African safaris during the 1920’s with Arruda’s bold and sharp war vet (does being a nurse in WWI count as a vet?) turned photographer Jade Del Cameron. Though Arruda’s plotting often comes across as “random” and “rash,” I’m having fun. I can definitely see this series sticking around after all. 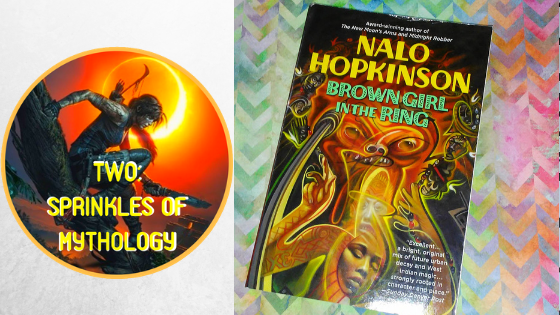 Brown Girl in the Ring by Nalo Hopkinson was recommended to me years ago surrounding my love of science-fiction author Octavia Butler. While over the years I never got around to reading Brown Girl; as recently as this year I did manage to find and read a copy of Hopkinson’s later offerings, Sister Mine. And… well… I hated it. And won't apologize because it was a hot, unpleasant mess to get through. And I’m not one to approve and praise a book just because “it’s what you're supposed to do.” I’ll keep that vague for those who don’t get it. Nevertheless, although I was extra critical about my dissatisfaction in Sister Mine, I still wanted to give Hopkinson a proper go. 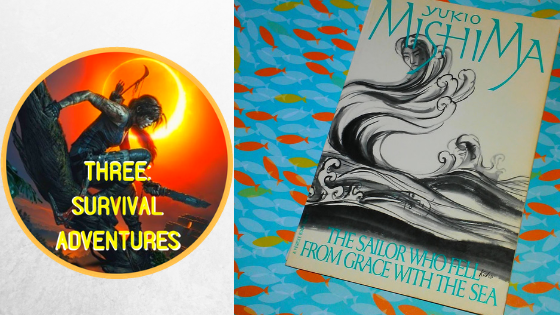 So I recently bought a copy of Brown Girl in the Ring on BookOutlet and, considering the book dances around making deals with gods, it’ll fit the mythology corner of my little TBR. I fell in love with the forever tormented gay Japanese writer Yukio Mishima after reading Confessions of a Mask in 2015. It was a fantastic meditative read on growing up gay in Japan with all cultural standards there to suffer through. Yet, per my usual track record, it takes forever and a day for me to finally pick up another book by an author I love. That aside, I’ve finally arrived at The Sailor Who Fell from Grace with the Sea. I’m not 100% convinced this is precisely a “survival adventures” read. I’ll have to sink into it to see if indeed it applies to this category of my TBR. Buttttt I placed it on the list because the first Tomb Raider game in the rebooted series released in 2013 took place on an island off the sea of Japan. BOOM. I know how to make stuff work. This series is on some rocky ground with me. Very rocky ground. While it's beloved and all that jazz, I’ve come to find myself too annoyed with some of Peters’ characters. Namely that of Amelia Peabody’s son, Ramses. As well as her adopted daughter, Nefret. 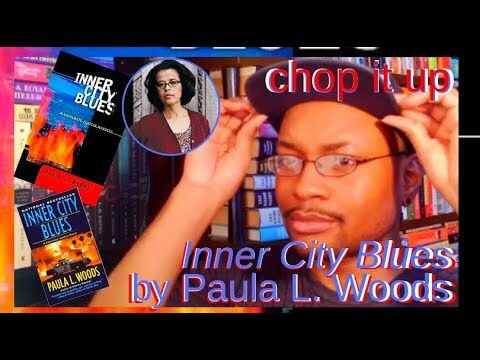 I made a video speaking on the possibility of me canceling my reading of the series, but have yet to edit it down if I decide to complete the project. Nevertheless, I started this book a year ago and got 13 pages into it. Adding it to this TBR will be the test. Continue the series? Or allow it to go? We’ll see. 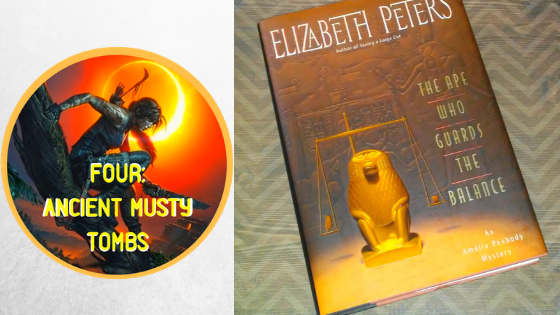 That aside, I don’t think any Tomb Raider-themed TBR could do without a book featuring a murder mystery and characters romping around and through the ancient, musty tombs of Egypt. This unread pick I pulled off my shelf was a no-brainer. Non-fiction (perhaps by category only). History. Relics of the past. Information and knowledge. A pretty interesting and self-explanatory title. Need I say more? Because these are pretty small reads, I’m sure I can fit more into October if I'm consistent in my daily reading (which is actually off to a good start). So in the face of reading these too quickly or finding myself DNF’ing one, I’ve added a bonus section. 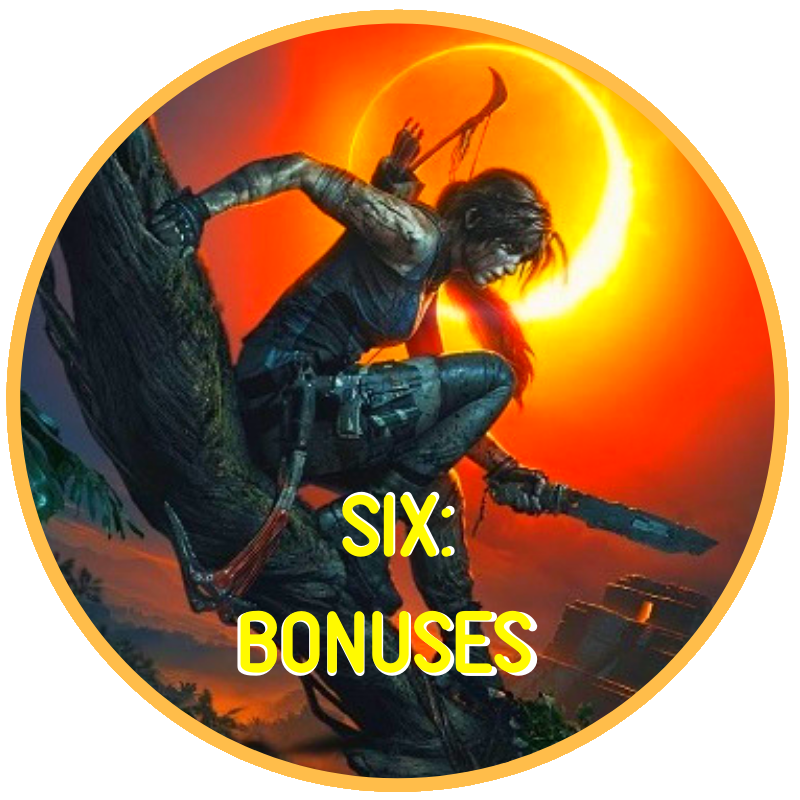 Hey, Tomb Raider games include bonus content, right? 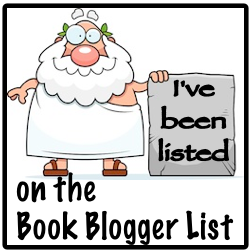 Anyway, I won’t list what I have in mind as a BONUS but will add them to my CURRENTLY READING gadget on the blog. A few books I have in mind is The Truth of Valor by Tanya Huff. Wasteland of Flint by Thomas Harris. The Eagle Catcher by Margaret Coel. And the Scared Willow by Mai Elliot just to name a few. Anyway, I enjoyed your company. 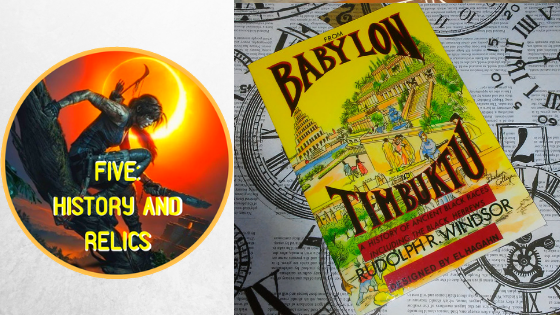 Please drop me a comment if you love or hate any of these books, or just to say hi. I’m off to making me a cup of coffee and finishing Arruda’s Stalking Ivory while staying away from Tomb Raider and Raiding Books instead. In the meantime, I've attached a gameplay video I recorded of me thoroughly enjoying Shadow of the Tomb Raider.